Dr. Chip Fletcher is a leader in climate change and sea level rise research and advocate for responsible coastal planning. He has had the extremely difficult job of translating his knowledge of a very threatening topic to the public and government agencies. Despite the nature of his work and the potential devastating impacts to our community, Dr. Fletcher has continued to use his work to advocate for positive change. He is a fantastic example of a scientist who uses his work to inform large sectors of our community. As Surfrider has at its core a mission to protect access to the beach (our public trust), Dr. Fletcher’s work is imperative to understanding where our future beaches will be located. Dr. Fletcher is currently the associate dean for Academic Affairs and professor of Geology and Geophysics in the School of Ocean and Earth Science and Technology (SOEST) at the University of Hawaiʻi at Mānoa. As a researcher, he focuses on understanding the impacts of sea level rise on island shorelines, and has been published in more than 100 peer-reviewed articles and three textbooks. Dr. Fletcher has received numerous awards for teaching, community service and research. Mahalo for all the work that you are doing Dr. Fletcher! Hawaiian Island Creations (HIC) is a long time partner and supporter of Surfrider O‘ahu. In concert with the HIC Pro surf contest they have helped sponsor and promote our annual north shore cleanup - removing over 20,000 lbs of debris in the last 5 years from Mokuleia and Kahuku/James Campbell Wildlife Refuge. WIthin the stores, HIC was one of the first surf shops to understand the impacts of Oxybenzone based sunscreens and begin moving towards mineral based selections, as well as supporting Hawai‘i’s move away from toxic sunscreens in policy. They continue to partner with Surfrider and will be hosting our second cleanup at James Campbell Wildlife Refuge on November 3rd 2018. Founded in 1971 by brothers Stephen and Jimmy Tsukayama, Hawaiian Island Creations started as a small surf shop in Kailua on Oahu’s Windward shore. Through a commitment to quality, service and aloha spirit, the brand has built a reputation as an icon of Hawaiian surfing recognized throughout the world. The retail chain has grown to include fourteen stores across three islands, providing authentic Hawaiian surf gear to both locals and visitors alike. Enjoy the ride wherever you may be with HIC clothing and accessories shipped direct to you, from Hawaii with aloha. Born on the eastern shores of Hawai‘i, Dr. Cliff Kapono lives a life filled with science research, journalism and professional surfing. His academic career is uniquely complemented with his athletic commitment to the sea. While contributing several peer-reviewed publications to the fields of molecular bioscience, he has also produced a handful award-winning films that discuss indigenous activism, ocean conservation, global food security and virtual reality. He has also been profiled in publications such as The New York Times, NBC, CBS, Surfer Magazine, and more. Cliff is currently based in San Diego, California and reports science for the San Diego Union Tribune when not chasing the surf. 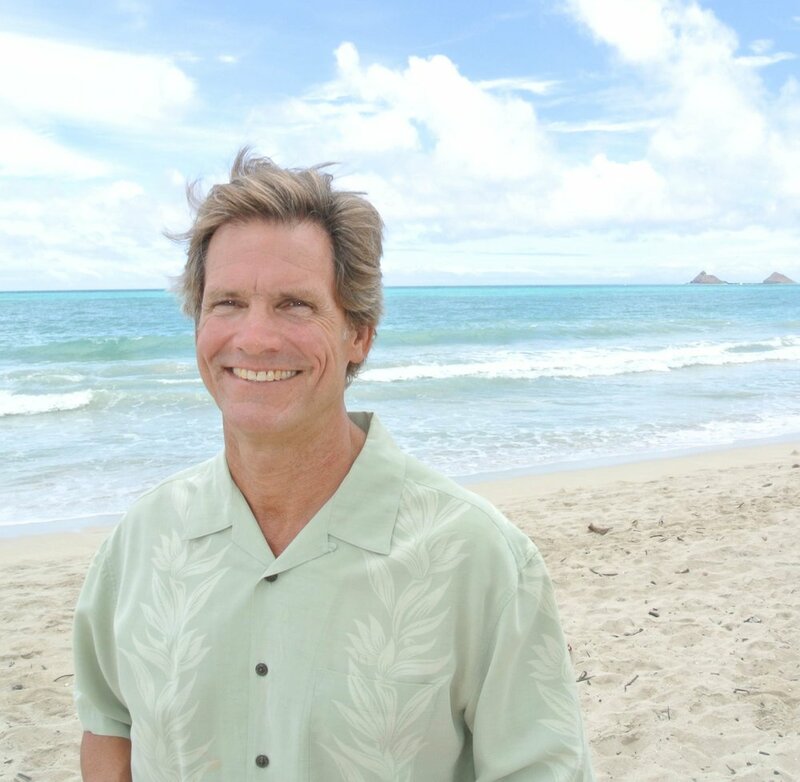 Dr. Kapono is currently submitting two environmental studies from his graduate work to peer reviewed journals. The first study looked at determining the molecular composition of coral reefs in Hilo in efforts to understand reef disease. The second study has found bacteria and chemicals that make surfers around the world unique from non-surfers. He is also currently working with the World Surf League to promote the reduction of single use plastic among professional surfers. As an athlete and scientist, Dr. Kapono is helping Vissla further develop their sustainability division. Lastly, he works with Sustainable Coastlines Hawaii to execute the 2nd annual eco-surfboard contest on the North Shore of Hawaii titled, " The Progress." Within the mission of Surfrider Foundation is the “protection and enjoyment of our world’s beaches, ocean, and waves.” One thing that sets our organization apart from other environmental protection agencies is that we want to really encourage that we must enjoy what we protect. Access Surf brings the enjoyment of the ocean to groups who may not otherwise have access to water sports - focussing on getting those with disabilities into the ocean. The effects of this are dramatic from the individual level to the community level as it is creating joy around the use of our oceans, which in turn brings new groups of people into a connective place with their environment. This means more of our community has an interest in protecting what they love. AccesSurf was born of humble beginnings, a few pickup trucks and lots of duct tape and a determination to adapt in any way possible to get those with disabilities back in the water. Original founders Mark Marble and Rich Julian, along with two other original board members Kate Julian and Amen Somal started first with a small trial run in November of 2006, followed by the first ever “Day at the Beach” the next month. In following the spirit of Duke Kahanamoku, AccesSurf continues to be a pioneer in the advancement of adaptive water sports, ocean recreation, and therapeutic instruction for people with disabilities throughout the state of Hawaii and worldwide. In 2015, the first ever World Championships for Adaptive Surfing were held in La Jolla by the International Surfing Association. AccesSurf was critical in developing the safety protocol and competitive classifications for the event and also helped found the Hawaii Adaptive Surf Team, who made a great showing that year. More than anything this event galvanized the global adaptive surf community and put AccesSurf on the world stage. Thanks to this exposure, our own annual adaptive surf competition held each year at Duke’s OceanFest, then became the world’s premiere competitive adaptive surfing event. 2016’s competition featured more than 60 athletes from 9 countries, showing just what adaptive athletes can do. Today, AccesSurf hosts more than 40 events each year, facilitating well over 2500 ocean experiences annually and has a volunteer base of over 900 people.